When i was a kid, i used to think website owners get paid by Google for the number of pages viewed by the user. The idea seems so funny now, But the same idea is being used by e-commerce giant Amazon in the form of Amazon Kindle unlimited. How much do you get paid for every article read by a visitor? Only very few bloggers get paid on cpm basis by adsense and other platforms, but what about an ordinary blogger? That's where Amazon Kdp comes to rescue. Reach : The ebook published by you will not only be available in your own country but across all Amazon domains, thus the potential reach of your ebook is best. Charge of publishing: Amazon does not demand any money from you for publishing your ebook, they get their share only when your ebook gets you Revenue. Ratings: People judge a book by the number of reviews and ratings it has, unlike other platforms you can change the ebook price to 0, get good number of reviews and price it back to original, Reviews will remain the same. Amazon does not even inform its users that the product was sold for free during particular time. Customization, ease of publishing: You can publish an ebook in almost no time, write your content in word document, upload it, create cover using Amazon inbuilt creator, write a crispy description and your ebook is ready to launch. Changes: The ebook will be live within 72 hours of launching, and you are allowed to change everything in ebook except the drm settings, and the changes will be reflected within 1 day. Paperback version: you can also create a paperback version of your book, the book will be printed by Amazon upon order by the customer, so there's nothing to worry about waste spends on printing the book. DRM: You can use Digital rights management in your ebook, so that people can only read the ebook through Amazon app and cannot access the book with any other general applications, this makes the ebook more non shareable. Advertising and promotion: you can promote your ebook by offering it free for 5 days or by using Kindle countdown deals in which your ebook price can be decreased and the offer date can also be seen by the customer. But these offers are limited only to Kdp select ebooks. 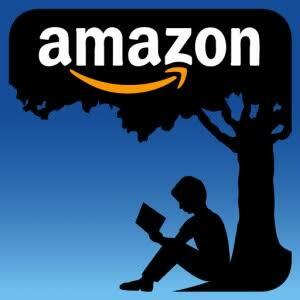 You can also advertise your ebook inside Amazon in the form of banners or sponsored post for certain amount. In addition you are allowed to advertise in facebook and other media. Affiliates: If you are an Amazon affiliate, you are allowed to promote your ebook through the affiliate link, thereby earning extra revenue. The royalty is inclusive of the taxes and delivery charges( 0.01$-0.06$), taxes depends on your country and whether you have income tax id. At the end what you get is anywhere between 23-30% of the actual price. The main criteria here is the ebook should and must be priced between 2.99-9.99$.70% royalty is applicable for customers of these countries only. For sales to customers outside these terroties, 35% royalty will be applied. In addition, the author must have copyright of the book( no documents needed), it should not be of public domain. The ebook must be priced atleast 30% below paperback version of the same book.So at the end, what you get is around 50-60% of ebook price. The e-book can be priced at different prices across different nations. What is KDP select? Should you enroll your ebook to it? By Enrolling to KDP Select, the author promises Amazon that the ebook is of his own and is exclusively available only on amazon( ebook only). 70% Royalty in India, Japan, Brazil and Mexico. Free and Kindle countdown offers are applicable only to Kindle KDP Select EBooks. Your ebook is available free for Kindle unlimited users and can also be lended to others for free. Amazon however pays 0.0488$ for every page of your ebook read by Kindle unlimited and lended users. What about KDP advertising and promotions? For every 90 days of Kindle Select, you can enroll your ebook in free promotions offer for a total of 5 days, it's upto you when you use it. During the period, the ebook is promoted under Amazon offers section. Can't I price it 0$ by myself? Ofcourse you can, but the ebook price itself will be shown as 0$, rather than showing the price as 10$ and offering it for free in the offer period. In addition, the ebook will not be promoted under offers section. What is Kindle countdown deal? Kindle countdown deal is where you can reduce your ebook for a few days and the offer along with the number of days it is offered is shown to the visitors. Eg: you can price your ebook 2.99$ for first 2 days, 3.99$ for 3rd day and returns to original price on 4th day, the whole offer will be visible to the visitor. Coming to advertising inside Amazon, ads are pay per click and bid based, the minimum amount per click is 0.25$, We do not recommend to use Amazon ads as it's costly and spends are often more than revenue. How can i make revenue if it's free for Kindle unlimited users? Kindle unlimited is offered for 200 Rupees per month in India, but to be eligible for 70% royalty, The ebook should be priced at minimum of 193 Rupees, Now what do you think, people will buy single ebook for 193 bucks or subscribe to Kindle unlimited for a month and read unlimited books for a month? This way Amazon forces users to buy Kindle unlimited. Though the Kindle unlimited price is significantly higher than 70% royalty minimum price in most of other locations, but still people often prefer to subscribe to Kindle unlimited for month than to buy an ebook. You get paid almost half a cent for a new page read by Amazon Kindle unlimited users, since the number of sales is significantly higher through Kindle unlimited, you can expect decent revenue every month. 0.048$ is very low, for every 210 pages read, you get 1$, Unless your ebook goes viral earning 100's of dollars is just a dream. If you want to promote your business or blog, Enrolling in KDP Select proves to be great. If you can write your blog posts/ whole blog as ebook, it can get you good revenue through Kindle unlimited. Royalty is given at the end of each month. Royalty for paid ebooks are calculated based on the price of the ebook during the transaction irrespective of the offer.